It's probably been nearly 20 years since I visited here last. I must admit that I wasn't even aware that it opened during the day. In fact it was very busy. There were some people there for the drinks and the music. But I suspect that most people were there just as 'tourists'. In fact many walk in, take a couple of pictures and leave just as quickly. The Cavern now has 2 real ales. Black Sheep Best Bitter appears to be a regular, with Cains FA also on yesterday. Worth a visit if you have never been before, just for the curiosity factor. I also tried the Cavern Pub, which also had Black Sheep & Cains Triple Hop. They are both owned by the same group. But the Cavern Pub is not listed on here. Neither is the nearby large Irish pub - Flanagans Apple, where you can also get a real ale -yesterday it was Jennings Cumberland Ale, plus Westons Old Rosie cider. Most patrons were there for the rugby. I probably won't return to any of these 3 in the near future. For a less pretentious pint, you're still better off heading to the nearby Welkin. Take my advice as a native of Liverpool, by all means pay a visit to the Cavern just for tourist value, stop and have a drink and if a singer is on, take in a song or two. BUT..... Dont stay too long, its dark, it smells, the prices are borderline robbery and the barstaff can be slow. 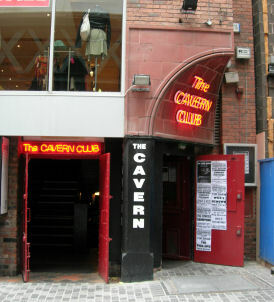 You get the impression the Cavern is clinging on to the whole Beatles reputation by the skin of their teeth, because if this place was anywhere else it would be empty. Ok for tourists I suppose. 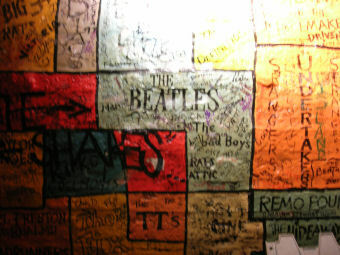 I remember going to the original Cavern in the 60s, heaving, sweaty, full of now iconic bands, and a happening place to be! Not so now, as the other revuers say expensive crap drinks and 3rd class pretenders on stage. 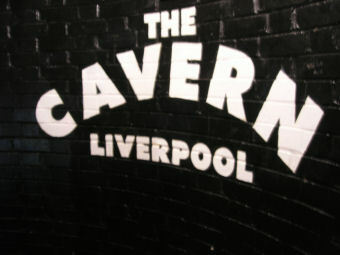 The original Cavern was moved when the offices where built on that site (next door in the Lucy in the Sky cafe ) as it was not deemed strong enough to support it, and the bricks were saved to re-create the Cavern as it is now. A bit of history of the place for you! How thing change eh? Enjoy. Friendly staff and nice music do not make up for the shortfalls on this pub. The patrons were rude and aggressive and the whole place smelt like a urinal. The stairs to and from are lethally steep and the bar prices are stupid. Include it on your sightseeing tour by all means. But I wouldn't stay long. It's only the Cavern by name - too touristy and frequented by tourists who think it's the original Cavern. If you're lucky you'll see a guy on the stage with an acoustic guitar singing Beatles covers in the afternoon. Sadly, and has been mentioned before, expensive drinks in plastic pint containers have put me off this tourist trap.